Shams was a man totally “annihilated in God” … and the “friend” who could “endure” “his presence” turned out to be Rumi … even though Rumi did not know Shams or anything about him. Rumi’s encounter with Shams shattered his “world” … resulting in a profound transformation … the results of which we are all relishing 700+ years later ! Rumi & Shams story is a rich one so we’ll share it over several posts in this series …. this post is a short version of the genesis of his poetry – some of which also appears in our Rumi page. 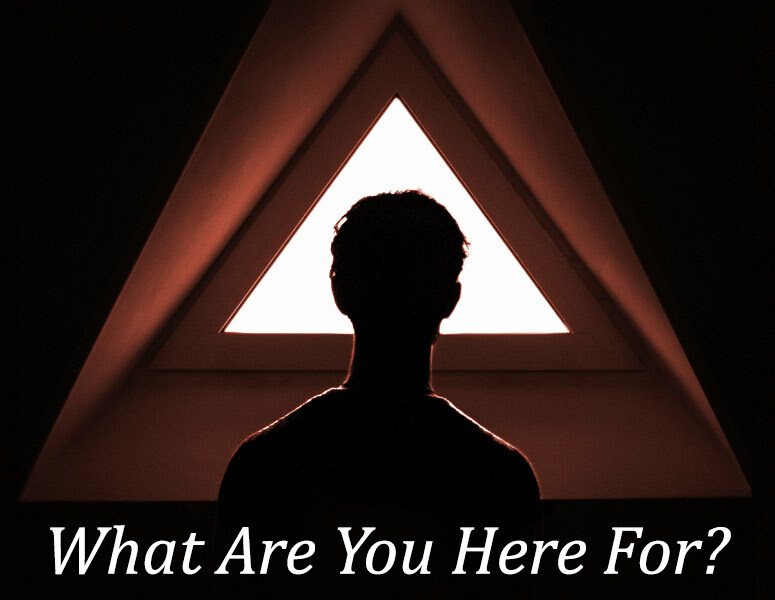 Rumi’s life, thus far, was of a respected scholar and spiritual leader of his community … but … in Shams he “met” That which he had been reading and studying about … their first “encounter” is captivating – several versions exist and will be shared in future parts. Thus began Rumi and Shams deep Sohbet and they were lost in this for extended periods … so much so that some people in the community became jealous. Shams left for a while and then came back and again their Sohbet began (or their Friendship) … shortly thereafter one night Shams was called away and he never returned! One version, of this aspect of the story, says that Rumi’s son (Allaedin) was responsible for killing Shams. Shams disappearance devastated Rumi … he was utterly bereft with grief … and he searched for Shams – everywhere … and in the midst of this extreme grief one day Rumi realized that he was already that which he was seeking … that he did not have to look for The Friendship because he was The Friendship itself. This was a profoundly transformative moment or experience for Rumi – it made him “madly drunk” with The Divine and thus began the uttering of his extraordinary poetry! … two different persons scribed for the Love Drunk Rumi – over the last 28 (approx.) years of his life ! … the scribe names sometimes appear in the poems (e.g., Husam). 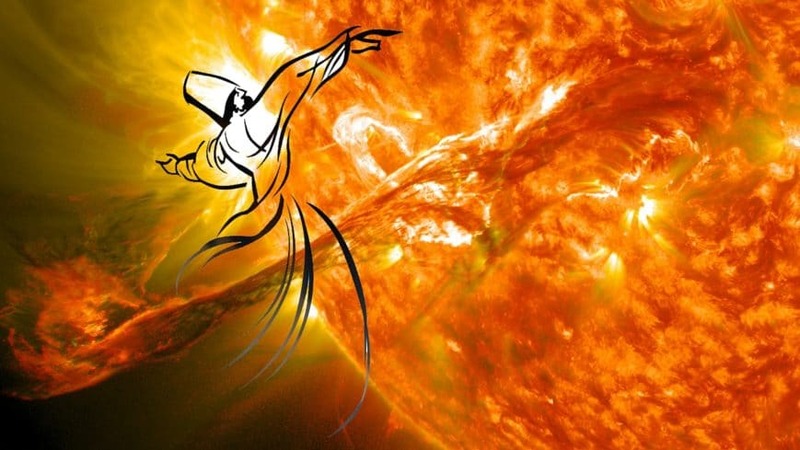 Rumi’s poetry is “drunk with Divine” … so it is naturally ecstatic … but … it began in grief! I hear nothing in my ear but your voice. Heart has plundered mind of all its eloquence. on the empty page my soul can read and recollect. We will continue our exploration into Rumi’s Life story in Part 2 …. Post’s closing Rumi poem: From The Soul of Rumi, Translations by Coleman Barks. Post Images: 1) Silence is Golden by Liam Moloney, CC BY-SA 2.0, 2) Sunset Sky by AdinaVoicu, CC0 Public Domain, 3) A view of the interior of Nasir ol Molk Mosque located in Shiraz, CC BY-SA 4.0, 4) Whirling dervishes by Miriam Mezzera, CC BY 2.0, 5) Empty Book Maple Leaf by JeongGuHyeok, CC0 Public Domain. Featured Image: IMG_0362 by David Bacon, CC BY 2.0. This post is based on Sanjiv Manifest’s Google+ post plus some of the text appears in our teacher page for Rumi.